When you invest in a classic car, you want to take every measure to protect your investment. If you are planning to participate in local auto shows or traveling cross country, transporting your classic is an important decision. It is advisable to ship your car rather than driving or pulling a trailer yourself, as it exposes the vehicle to the risk of accident and depreciation. Instead, look for a professional car shipping company that specializes in shipping classic cars, as these vehicles require extra care during transportation. Here are some effective tips to help you protect your collector car when shipping. When shipping your classic, it is important to know what type of trailer will tow your vehicle and what type of container will be used for its shipment. Though open transportation is cheaper than enclosed one, it involves the risk of damage from road debris, dust and rain. An enclosed transportation, on the other hand, is a little expensive but it completely protects the vehicle from the hazards of road and other external elements. Shipping classic cars may sound expensive to many, but it has its share of advantages. 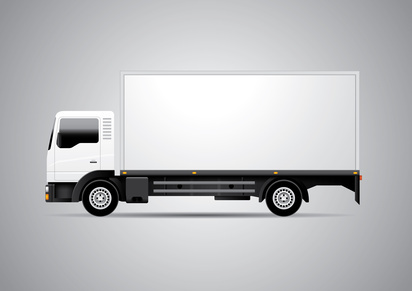 Some transport companies offer door-to-door pickup and delivery that doubly ensure the safety of your valuable vehicle during the transit. A licensed driver from auto shipping company will pickup and deliver your classic to its destination without you having to running from pillar to post. Your classic car is your prized possession, therefore it is important to do some homework to ensure that your vehicle is safe with the transporter. It is advisable to choose a car shipping company that carries liability insurance. Request a copy of the carrier’s insurance policy, and verify its status by calling the insurance company. Also, check their safety record with the Federal Motor Carrier Safety Administration. Before the transporter picks up your classic from the location, you will need to prepare it for the safe transportation. Start by removing all personal belongings from your car, as car shipping companies are generally not liable for the loss of personal items, remove all valuable items, such as car audio systems, removable emblems, navigational aids and other external electronic devices. For your car’s safety, it is also recommended to leave the fuel tank only a quarter full. Before shipping your classic car to its destination, it is advisable to click pictures of the car in its current condition. Should any damage or accident occur during the vehicle’s transport, pictures will help you present your case and get maximum compensation against the insurance claim. Also, make sure you thoroughly read company’s terms and conditions before signing on the dotted line. If you are looking for a reliable car shipping company to ship your classic car, feel free to get in touch with one of our representatives.